For quite a while now, we've been using the free version of Plex. If you haven't heard of it, it's a media library/server that you install on your home computer. 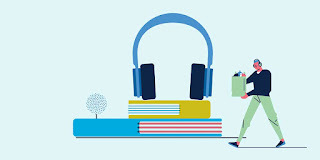 It organizes your media library, and Chromecast you can access any of your shows/music/pictures from anywhere you like. Really cool, really simple to use, and it runs free on top of your existing infrastructure. They also have a paid service (subscription based, or a one time lifetime purchase) that gives you access to a few cooler features. One of those features is an over the air DVR and live TV program manager. This, naturally, requires that you buy a few more tools, so I haven't really been interested in trying it out. Recently, however, we stumbled across an all-in-one kit that seemed like it was worth trying. The Hauppauge Cordcutter Bundle comes with everything you need to try out the premium features of Plex. 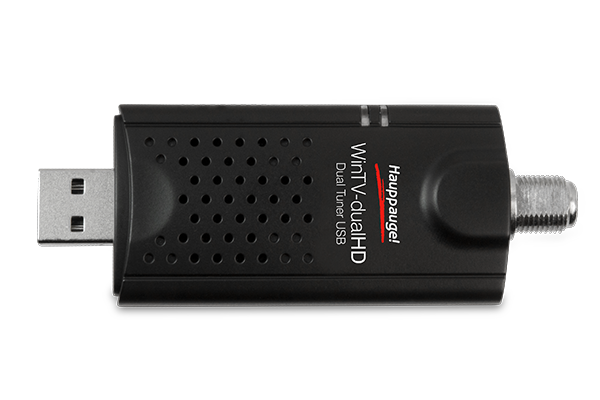 DualHD TV Tuner - a USB TV tuner with two channels. This allows two channels to be viewed at the same time or two shows to be DVR'd at the same time, or a combination of watching one show and recording one show. 3 Months of Plex Pass - the premium license to Plex that gives you access to all of the features, and serves to get you hooked on the service. Setup was very simple. It was a matter of plugging the TV tuner into my computer, plugging the antenna into the tuner, and telling Plex (after putting in the code for the 3 months of premium) to scan for channels. From there, you get a program guide that lets you DVR shows you want to watch on your own time, or browse Plex for live TV stations. I'd seen some reviews saying that people had trouble making it work, but I've had no issues at all. My shows automatically record, I can watch them at my leisure, and I have live streaming HD TV if I want to watch that. I'm not thrilled with having to have a Plex subscription, so when my trial ends I'll just buy the lifetime license, but that's not such a bad deal, either. The license not only let's me control OTA TV, but it gives automatic syncing of photos from my phone to my server, OTA syncing of media from my server to my mobile devices if I'm planning on being somewhere that I don't have a data connection, and a few other features. If you've got a decent sized personal media collection, and still have a few shows on network TV that you watch, this is definitely something worth trying out. Because of my watching habits, it's been able to completely replace my Hulu subscription.